The Get Your Needs Met! Bookmark is a great reminder of things you can do to make sure you have what you need. The Get Your Needs Met! 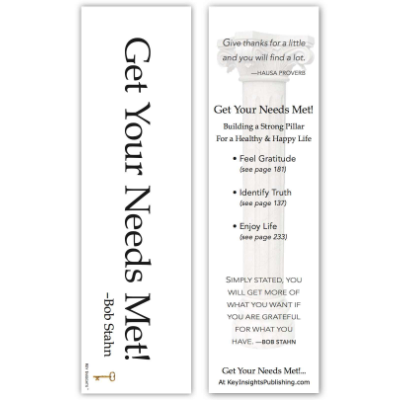 Bookmark is a great reminder of things you can do to make sure you have what you need. 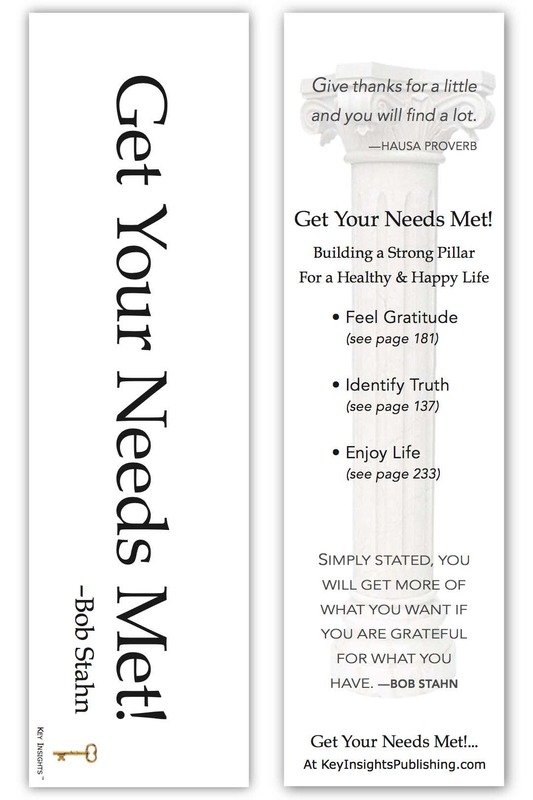 Enjoy increased energy, happiness and fulfillment as you incorporate the proven formulas taught to clients and therapists by Bob Stahn.